Our emphasis is on challenging the enthusiastic learner and supporting the reluctant learner. Religion, Language Arts, Social Studies, Mathematics, Science and Spanish. The core subjects are supplemented with Art, Music, Physical Education and Technology. Sixth graders experience a week of environmental learning at Nature’s Classroom at the Sargent Center. 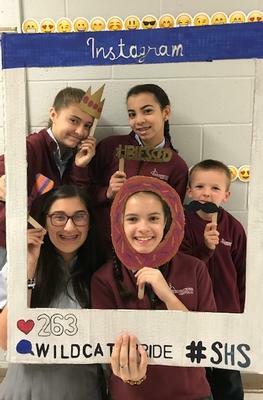 The junior high builds a solid foundation in academics for the adolescent by addressing the increased need for organization, personal responsibility and study skills. To enhance the subject matter of our curriculum, we integrate those processes of learning that equip students to master skill sets that will ensure their success in the even more complex world of the future. 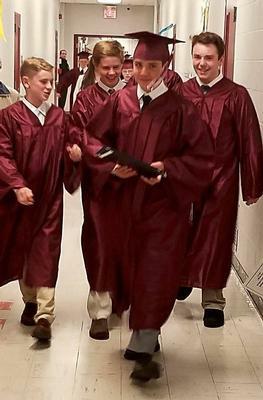 A community service component of 10 hours is completed by all 8th grade students prior to graduation. Timely homework, student progress, and teacher communication are available through the online tool Ren-Web. 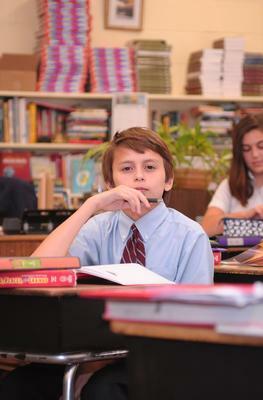 The curriculum of the junior high is high school preparatory in nature and follows a carefully-planned sequence. The junior high faculty and staff are professional, certified, and dedicated to teaching within the framework of the Catholic faith. Small class size allows us to develop strong relationships with all students and act as mentors, advocates and role models. 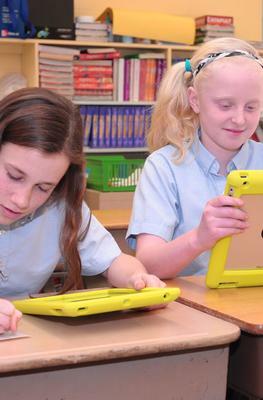 Technology is an integral part of the learning experience for junior high. We accomplish this by providing students with access and support for the latest resources available in technology with the goal that students gain the skills and understanding they need to grow into informed and productive digital citizens. 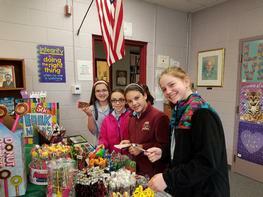 The junior high provides extracurricular and enrichment activities for all interests. These include soccer, basketball, baseball, track and field, ski club, choir, leadership council, drama club. community service and yearbook staff. Our students actively participate in local and diocesan art and essay contests, and community outreach programs. Of note this year are three essay winners in the Fosters Daily Democrat Holiday Writing Showcase and four winners in the Provident Bank’s Youth Impressions Art Show. 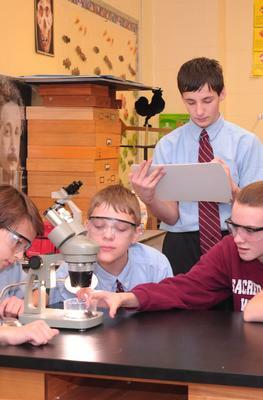 Sacred Heart School graduates have a solid academic foundation and are well prepared for secondary school. Recent high school acceptances include St. Thomas Aquinas High School, Central Catholic High School, St. John’s Prep, Phillips Exeter Academy, Berwick Academy, Governor’s Academy, Brooks School and Trinity High School.